Retailers are about to be hit with an onslaught of Wiis in a range of colors. With the Wii U on the horizon, you'd think Nintendo would be spending all its resources to make it an appealing purchase for the millions of people who already own the Wii. But strangely, it seems like the 6-year-old console is getting the lion's share of the attention, at least as far as holiday deals go. 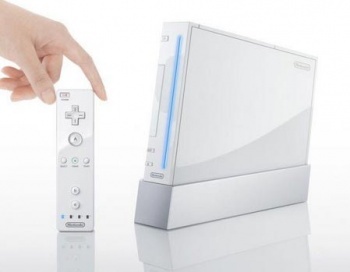 Case in point: Nintendo is launching a pair of new Wii bundles - with Just Dance 4 and Skylanders Giants - on November 4th. For $129.99, the Just Dance 4 bundle comes with a white Wii console, a copy of the game, and a Wii Remote Plus with Nunchuk controller. If that doesn't tickle your fancy, you can throw down a bit more cash for the Skylanders Giants bundle that comes with a blue console, Wii Remote Plus with Nunchuk, two Skylanders characters, and an exclusive Giant Skylander figure, for $149.99. Now, including hot new games in console bundles has always been a good way to add value to both new and aging consoles, but am I the only one that thinks there will be some awfully confused gift-givers this year? Parents and grandparents who may not be very familiar with the difference between the Wii and Wii U could very well end up with the wrong console in their shopping carts. Nintendo just introduced a new Wii Sports bundle earlier this month, complete with a black Wii and both Wii Sports titles. Assuming big box retailers will be offering all three - along with whatever current Wii stock they have - that's a lot of consoles on the shelf. I guess shoppers will just have to rely on the always knowledgable store associates to make sure they snag the right gift.